Browsing photos and ideas can be a fun part of creating your dream room. But making your designs a reality also takes smart planning and organization. 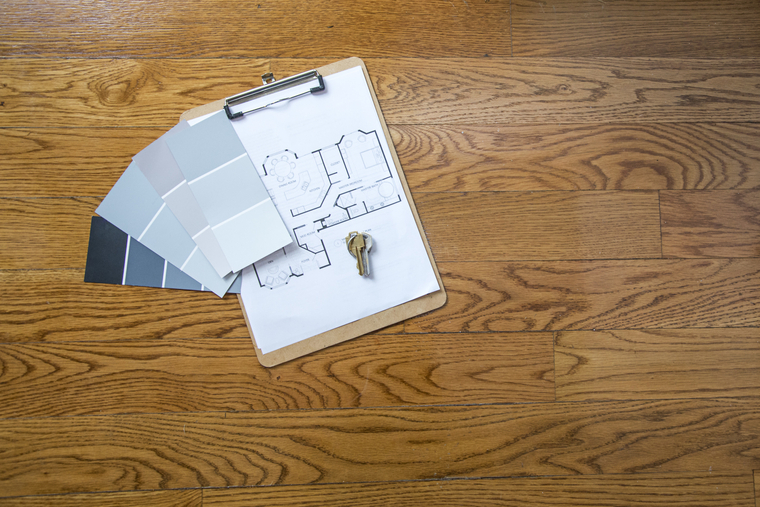 Project management is an essential part of remodeling, and there’s nothing like the feeling of implementing a plan to create something new and beautiful. These tips can help you achieve your desired results. Become a list writer. Making lists is key when it comes to project management. It’s the only way to properly organize your thoughts and prevent any details from being forgotten. The most important list is your scope of work, or specifications, document. This is basically a detailed list of everything to be done, from start to finish. If you’re dealing with one main builder who’s organizing all the work, then you’ll need to make sure he or she gets a copy, so the goals are clear and all the information is provided. Also, having detailed specifications makes it easier if you want to obtain multiple quotes, and you’ll know it’s a fair comparison since all the builders will be quoting using the same criteria. Make sure you’re all on the same page. If you’re coordinating separate subcontractors (cabinetmaker, plumber, electrician), then it would be worth indicating who’s responsible for each task. Give a complete copy of the specifications to all of them, so they’re all aware of what everyone is doing. Discuss the specifications with your subcontractors since they may be able to provide help and advice. A schedule is also useful, so you can keep track of progress and everyone knows who’s going to be on-site on which day. With prior knowledge that a partition wall will feature some lighting, for instance, the builders will know to leave the stud frame open for the electrician to run the wires through before it’s boarded up and plastered over. Trying to feed wires through after the fact is much harder, takes longer and risks unnecessary damage. Break into subsections. In addition to your main specifications, it’s a good idea to have sublists for each separate element of your design. For example, your main specifications may say “install 6 x recessed LED downlights in ceiling,” but your lighting specifications will detail where they are to be positioned, the type of bulb, the hardware finish and so on. The more information you provide, the more accurate your quote should be and the less likely it will be for mistakes or misunderstandings to occur. It will also minimize any unexpected costs. This bathroom has a minimalist elegance, but it’s far from straightforward. This project would have required a builder’s spec, including layout and elevation drawings with dimensions, an electrical spec with lighting plan, a plumbing spec with layout drawing, and a decorating spec — phew! Plan like a pro. Finalize your design before starting any work, rather than trying to do it as you go along. The process will be much more enjoyable without constant deadlines presenting themselves, and if you haven’t planned, you may find your options restricted based on work that’s already taken place. Take a couple of weeks to put it all together, write your specifications, draw up the plans, get everything ready and make all the decisions before proceeding. This will save you time and money along the way, and significantly reduce stress levels during the project. This clever design features well-thought-out lighting and custom cabinetry. Careful consideration would have been given to where to position the outlets, radiators, lights, switches and other details. Never assume. You know the saying. When writing your specifications or drawing your plans, never assume that someone else will know what you want unless you explicitly state it. Include every tiny detail, no matter how picky it may seem. As well as avoiding mistakes, it also prevents any disputes over what is and isn’t included in the quote. This bathroom just wouldn’t have looked the same if white grout had been used, for instance. You may think it would be absurd to even consider using white grout in this case, but if you haven’t asked for dark gray, you can’t expect it and you can’t assume that you will be asked what color you want. White is standard, and a tiler may use it if nothing has been specified. Stand by for decisions. Your builder will present many questions and decisions to you along the way. Which tiles do you want on the walls? Where do you want these wall lights? What color do you want on the baseboards? Your best bet will be to try to pre-empt as many of these decisions as possible and have the answers ready or, even better, provide the information in advance. Making these decisions under pressure can lead to impulse moves you may regret later. However, taking too long could hold up the project, costing you time, money and the patience of your builder. No one wants an unhappy builder. Inevitably, there will be some questions you couldn’t have anticipated, but if you communicate well with your contractors, they should, where possible, give you time to make a decision without holding up the project. Don’t be afraid to ask their opinion on the best course of action, but don’t feel pressured to compromise on the design if you don’t want to. Give yourself time to deliver. This is one of the classic pitfalls, so take note. When pulling your design ideas together and deciding which products and materials to use, make a note of the lead times. Many pieces of furniture are made to order and can have lead times of up to 12 weeks, sometimes longer. Similarly, tile and natural stone can take much longer than expected to arrive, and products from abroad can encounter holdups during transit. This chandelier was custom-made for the project and looks fantastic. This is no last-minute, off-the-shelf, next-day-delivery job. It can be a huge shame if you’ve spent hours, days, weeks choosing the perfect product, but when you come to order it, you find that it will take too long to be delivered, perhaps time you can’t afford. Then you have to decide whether to hold up the work or pick something else based on the fact it can be delivered quickly. Factor in a contingency. Even when you have the very best of intentions, issues that you couldn’t have predicted may arise during your project. So it’s a good idea to factor in a 10 percent contingency within your budget for these matters, especially with old buildings. Who knows what condition the walls are in behind those kitchen cabinets before you rip them out? Or what may be lurking underneath that carpet when you pull it up? In these situations, it’s important to expect the worst and don’t let it throw you off your game. You are a project manager extraordinaire, and you’ve totally got this. Just accept that these things happen, find out what the options are and make a decision. Your contractors will be able to advise on what to do, so harness their expertise and trust them to help you find the right solution. Call in the cavalry. If you choose to manage your project yourself, it’s certainly an enjoyable and rewarding process, but it also takes a certain type of person. You have to be organized, calm under pressure, strategic and confident — not to mention being able to afford the time to plan, coordinate and oversee the work. If you have qualms about taking it on yourself, then consider hiring a project manager. Yes, there will be a fee, but consider that a badly managed project can cost you time and money, and you may not achieve the results you were after. A pro will take care of everything and allow you to rest easy, knowing you’re in safe hands.